Windows 10 has a fullscreen optimization feature, which on devices that satisfy hardware requirements improves the overall gaming experience. Fullscreen optimization can be configured to boost game performance as well as make its graphics look sharper on bigger full-screen displays of desktop and laptop. However, being a relatively new feature, it is not without its flaws. Many users are reporting issues while using this feature. Reviews from different quarters are far from positive. Some say that the framerate starts dropping when this option is enabled during gameplay. We don’t have a definitive list of games that are facing this issue. 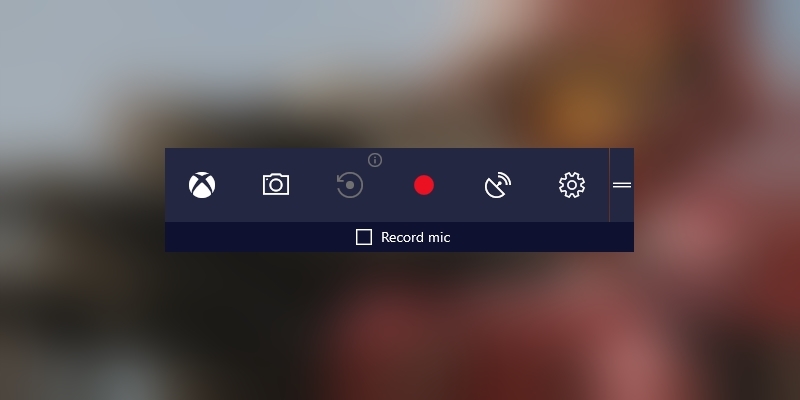 To make matter worse, Microsoft, in its Fall Creators Update, removed the option to disable this feature from the game bar. So in this guide, we are going to look at how to disable full screen optimization feature on Windows 10 devices. That being said, the feature is there for a reason and it is not recommended to disable it for all games. So if you would rather have it turned OFF for some games and keep it On for others, we suggest you try the CompatibilityManager app. It can be downloaded for free. 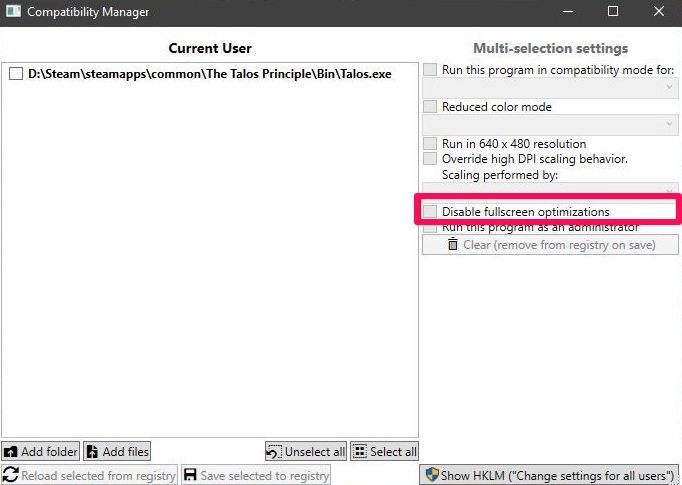 You can configured it to edit the compatibility settings for multiple apps at once and disable fullscreen optimization. First of all, download CompatibilityManager and run it on your device. There is no need to install the app. Once ready, it can be configured to make changes to the compatibility settings for the current user or for all users. Do note that to change compatibility settings and disable fullscreen optimization for all users, you need administrative rights. Launch CompatibilityManager on your Windows 10 computer. Then, it will automatically start loading games from your Steam library as it’s primary function is to deal with games only. Of course, there is an option to add other folders and files from the respective in-app buttons located at the bottom to manage compatibility settings for other apps. Now, select the games/apps for which you wish to disable fullscreen optimization. Simply change its compatibility mode settings, and its color mode settings if you want/need to, and click the ‘Save selected to registry’ button at the bottom. Similarly, you can enable fullscreen optimization again using this app. In the end, we would like to bring this to your attention that there is no need to disable fullscreen optimization if games run smoothly. Drop/delay in framerate is negligible to non-existent on devices with powerful hardware. You won’t notice the drop anyway, which renders the feature useless on beefed up systems. However, systems with older hardware are prone to framerate issues, especially for games with heavy graphics. In short, the effectiveness of this feature vary for every user, system, and game/app. If the feature isn’t causing issues on your system, do not touch it as it might help games perform at their optimum level. You can disable it to see if game performance improves or worsens and then decide which course of action to take accordingly. The main function of this app is to make it convenient for users to enable or disable fullscreen optimization feature on Windows.